Sugar... did you notice any increase in mileage after the tuner? So everyone is worried about a tuner voiding their warranty on their $40k+ trucks including myself, but my question is has anyone ever had anything fail on their vehicle and not been able to cover it under warranty because of a tuner? I've seen a few people that know some people that know a guys neighbors mothers ex-husband got screwed but does anyone have any first hand experience? I'm paranoid about putting one on my truck just for the fat chance that something were to happen. But i've had tuners on previous vehicles and never had an issue as well as many friends using them also. Very nice! Can i get some info on your HID swap? I looked though the forum but there is way to many pages to go through. I've been looking at the Bi-xenon kits, curious if that's what you have? 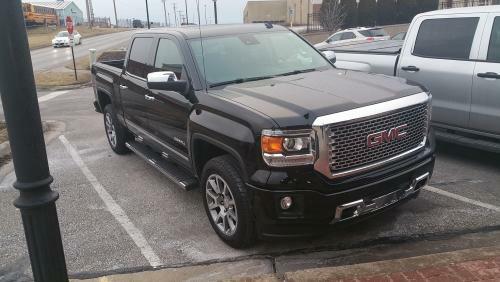 I also have a 2014 denali.